The Pending Home Sales Index,* a forward-looking indicator, rose 4.3 percent to 82.3 based on contracts signed in August from a downwardly revised 78.9 in July, but is 20.1 percent below August 2009 when it was 103.0. The data reflects contracts and not closings, which normally occur with a lag time of one or two months. The PHSI in the Northeast declined 2.9 percent to 60.6 in August and remains 28.8 percent below August 2009. 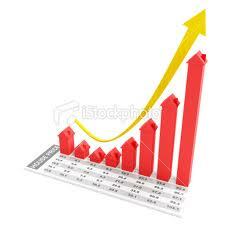 In the Midwest the index rose 2.1 percent in August to 68.0 but is 26.5 percent below a year ago. Pending home sales in the South increased 6.7 percent to an index of 90.8 but are 13.1 percent below August 2009. In the West the index rose 6.4 percent to 101.1 but remains 19.6 percent below a year ago. The index is based on a large national sample, typically representing about 20 percent of transactions for existing-home sales. In developing the model for the index, it was demonstrated that the level of monthly sales-contract activity parallels the level of closed existing-home sales in the following two months. There is a closer relationship between annual index changes (from the same month a year earlier) and year-ago changes in sales performance than with month-to-month comparisons. An index of 100 is equal to the average level of contract activity during 2001, which was the first year to be examined as well as the first of five consecutive record years for existing-home sales. NOTE: The next Pending Home Sales Index will be released November 5 at 12:30 p.m. EDT from NAR’s 2010 Conference & Expo in New Orleans; a news conference there begins at noon EDT, which also will cover the 2011 housing and economic forecast. Existing-home sales for September will be reported October 25. NAR’s statistical news release schedule for 2011 is being distributed October 5. Dates for existing-home sales and the pending home sales index are being moved up, and there will be an additional release this year for pending home sales on December 30, 2010. Information about NAR is available at http://www.realtor.org. This and other news releases are posted in the News Media section. Statistical data, tables and surveys also may be found by clicking on Research.